I recently received a phone call regarding rabbits causing a nuisance on a recreation ground. Rabbits had been digging their burrows near the outskirts of the sports pitches, however, more recently they had ventured onto the pitches and bowling green. Now posing a health and safety risk to sportspersons, the custodians of the site got in touch with ourselves to see if we could help. Therefore, I thought I would write this blog about rabbits and the options you have available should you have an issue with them. Generally speaking there are two schools of thought regarding rabbits, namely between the general public and those who are dependent on their income from the land. Rabbits are therefore both cute and fluffy and a pest species that causes untold damage. Infrastructure, farmland, grounds, and sports pitches can be terrorised through their appetite for crops or tunnelling activities. So much so that it is a widely held belief that they are now the most costly invasive species. Rabbits are not indigenous to the UK; the European Rabbit was introduced as early as two thousand years ago by the Romans. 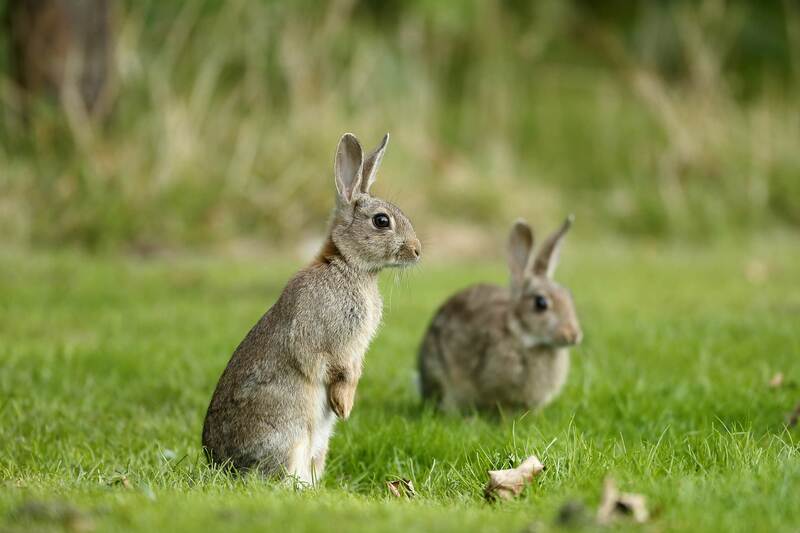 The only real threat to their survival since that time was the Myxomatosis virus, first introduced in the 1950’s which emaciated the UK’s wild rabbit population. However since that time warmer winters, easy access to food and a lack of predators means their numbers have gradually increased to half that of the pre 1950’s levels which estimates show is around 50 million individuals. As we all know rabbits breed rather frequently hence the well-known adage ‘breeding like rabbits’. A rabbit can have up to 24 young each year. •	Live capture traps – can be used throughout the year, with any non-target animals caught being released unharmed. •	Kill traps – the placement of fenn traps approved for use on rabbits. •	The installation of rabbit proof fencing – which can prove to be cost prohibitive. •	The use of phosphine gas (usually a last resort having explored all other options of control). Residential customers in Solihull can call Solihull Council’s Connect service on 0121 704 8000 to book an appointment, commercial customers or non-Solihull residents can fill out an online form or call 0121 779 8900.